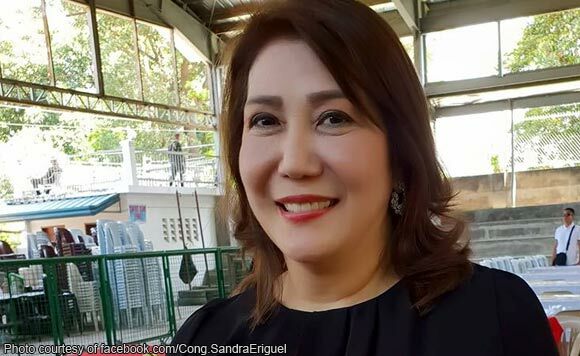 La Union 2nd District Representative Sandra Eriguel on December 4 called on the Commission on Elections (Comelec) to place her province under military protection. The La Union politiko’s request comes after the killings of several local officials this year. Among the local leaders killed in La Union this year were Eriguel’s husband, former La Union representative Eufranio Eriguel, Supiden mayor Alexander Buquing, and Balaoan vice mayor Al-fred Concepcion. “To await the start of the election period might become too late for us. The augmentation of the Philippine Army personnel in our area will provide a strong deterrent against the evil forces that are currently roaming our beloved province,” Eriguel said. “The presence of soldiers will also provide confidence upon our people to exercise their freedom of expression and right to suffrage without fear of threats and violence,” she added.